Turbo-Chill Tubes is one of our Premium Products. Our Turbo-Chill Tube designs have evolved over the years due to our continual developments and research. Our design and development team works closely with our customers to understand their requirement and deliver the product they require. Our Customers feedback and Support has also been helpful in our development process. Turbo-Chill Tubes are a type of Integral Fin Tubes which have internal grooving additional to the external fins. 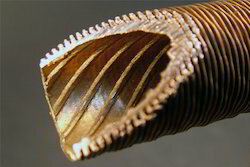 These internal grooves increase the turbulence in the liquid that flows inside the tubes. This turbulence results in increased Heat Transfer compared to the surface fins. 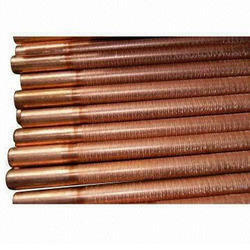 These tubes are mainly used in Copper Material. Turbo-Chill Tubes find their major application in Condensers. Since our inception, we are instrumental in offering premium quality of Turbo Chill Tubes. The offered chill tubes are manufactured using the best quality raw-material and ultra-modern technology in adherence with industry norms. As per the demands of our clients, we provide these chill tubes in different sizes and thickness. Moreover, these chill tubes are available for our clients at market leading prices. We offer our client highly efficient Turbo Chill Fin Tubes. The offered Turbo Chill Fin Tubes are manufactured in adherence to set quality standards by utilizing premium quality raw material and cutting-edge technology under the supervision of quality controllers. These turbo chill tubes are stringently tested on various quality parameters to ensure hassle-free functioning at users end. Moreover, we offer these turbo chill tubes at market leading prices. Facilitated by technically advanced process, we are presenting a distinguished collection of Turbochill Tubes that are designed for boiling & condensing of hydrocarbons. 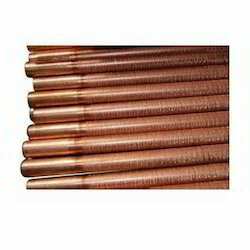 Our offered tubes are available in various sizes and specifications as per the needs of our clients. The provided tubes are precisely manufactured using high grade raw material and progressive technology. Besides, clients can avail these tubes from us at nominal prices. Looking for Turbochill Fin Tubes ?